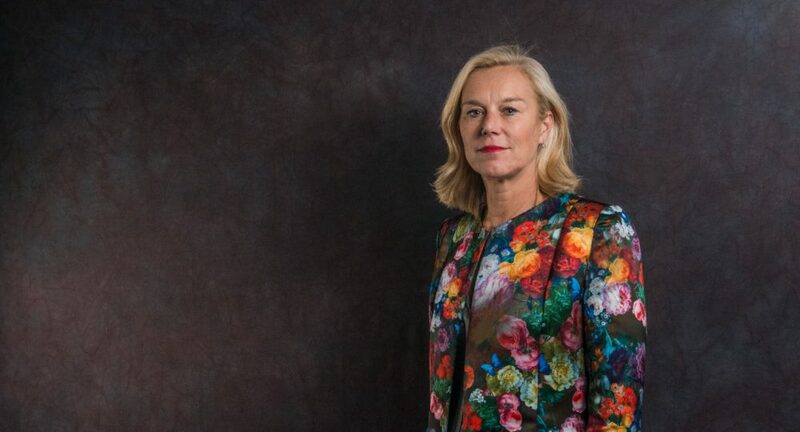 Dutch Minister of Foreign Trade and Development Cooperation, Sigrid Kaag, made a strong argument against populism, during an annual lecture in September, in honour of Holocaust survivor Abel Herzberg. Without the contrast between silence and sounds, we cannot hear. Everything is surrounded by silence. Without silence we cannot understand one another. Like Pasternak, I draw strength from silence. So standing here on this stage, to break the silence, is not something I take lightly. But I am convinced the silence must be broken. Because I believe that silence is not always a good thing. For me, silence is linked to my memories of my father. He loved music, he loved improvisation, and he loved the contrast between silence and sound. When I was a young girl, he would draw my attention to the silence between the movements of a symphony. And to the rests in the score, those tiny moments of silence between notes. Of course, as a small child I didn’t fully understand that yet. But later in life I did. When I went in search of silence myself. Walking in the mountains, with my dog Marley. Reflection on my childhood, for instance, when, besides many happy times, I was also faced with illness and death close to home. I learnt early on how to deal with feelings of powerlessness and with the fragility of life. A memento mori that inspired me to get everything I could out of life. But especially for other people. This very personal mission requires one thing in particular. Taking responsibility when you are called upon to do so. This realisation, and many more of life’s lessons, are also born in silence. A kind of silence that gives you strength. But there is also another kind of silence. One that is far from good. A dark and threatening silence. A certain silence in society. The silence of knowing what’s going on. Of hearing what’s being said. And not doing anything about it. The silence of not speaking up, for the sake of convenience. The silence that takes the place of words that are too awkward; that cause too much fuss; that are too dangerous. The silence of the fear of no longer belonging if you call out your friends for racist jokes in your app group. The silence of a comedian who refrains from telling a joke, for fear of threats. The silence of a politician who refrains from saying something, because it might cost them votes. That silence, the silence of looking away, is ominous. That silence can swell, slowly but surely, to become a collective void. That silence can, ultimately, become deafening, taking away our ability to see the risks in our society. To understand the warning signs. The bitter lesson of history is that where such silence is often accompanied by the dissonant strains of stigmatisation, exclusion and persecution. As a survivor, Abel Herzberg struggled with the question of why. ‘It wasn’t so much about the atrocities. It wasn’t about the final step. ‘Many a political party has banked on the void and gained temporary success. The lack of forceful protest and a worthy alternative. It can no longer be taken for granted that these words will be understood. The suffering of those days is too indescribably immense, hard and dark to be allowed to play a role in the social debate. If you refer to the Second World War and the build-up to it, you’re often accused of demonising your opponent. We appear to have arrived at what Thomas von der Dunk calls ‘a new taboo’. The silence of not speaking up when a blanket ban on a religious text is proposed. The silence of not speaking up when a blanket ban on building houses of worship is proposed. The silence of not speaking up when a crowd is whipped up with a chanted call for reducing the numbers of an entire population group. That is a silence which carries an insidious danger. That is a silence which threatens our values, and ultimately threatens us all. In his speech on the steps of Schöneberg city hall in Berlin on 23 June 1963, John F. Kennedy – to the great dismay of the cautious, anxious politicians who were his hosts – broke the silence about the injustice of the Berlin Wall. 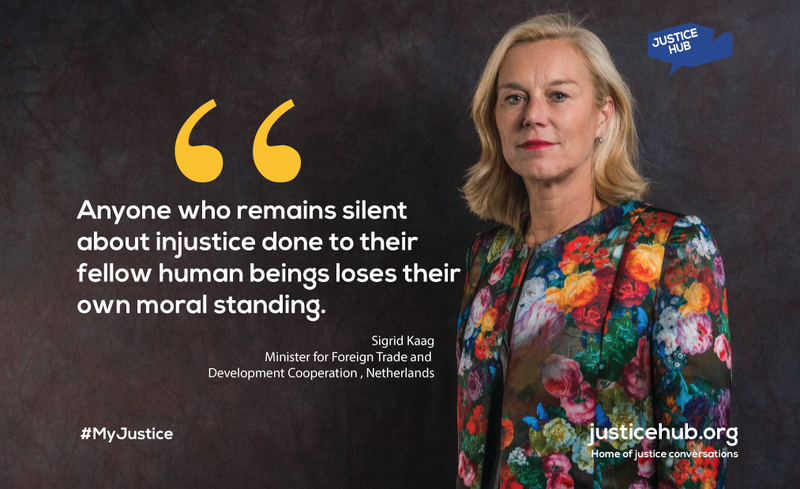 Anyone who remains silent about the first steps in the process of excluding population groups, of eroding civil rights, freedom and human dignity, loses their own dignity and freedom too. Anyone who remains silent about injustice done to their fellow human beings loses their own moral standing. By remaining silent about our history, about the things that are too immense and too painful to address, we break the chain of responsibility that connects us to our ancestors and our descendants. We break the line of our development. The line of our ascendancy as human beings, capricious though it may be, and deep though its low points can be. can no longer value the enormous success of European unification. And things that are no longer valued are at risk of being lost. Sometimes it takes an outsider to make you realise the value of things you’ve come to take for granted. ‘parents are willing to walk across deserts, and cross the seas on makeshift rafts, and risk everything in the hope of giving their children the blessings that (…) you enjoy – blessings that you cannot take for granted. This continent, in the 20th century, was at constant war. People starved on this continent. Families were separated on this continent. And now people desperately want to come here precisely because of what you’ve created. The violence that ravaged our continent for centuries was not easily subdued. Whenever things got difficult in the unification process, there was always a tendency to crawl back into our own old, trusted, national shells. To give in to the comfort of the old reflexes of national tribal identity and animosity. On many occasions the project was pronounced dead. But eventually a generation of European leaders succeeded in shaping their vision for post-war Europe. With patience and perseverance European unity became — in the words of Konrad Adenauer — a dream of a few people, a hope for many and a necessity for all of us. No, it wasn’t plain sailing. The European Union is not just any old arrangement you can just cancel or postpone. It’s a new, independent unit. A community of law, a fusion of sovereignties. A new, greater sovereign unit. European law takes precedence over national law. Our unification is never completed. It has to keep moving in order to live. It progresses further and further. Thanks to the ever stronger defence of human rights in the Union’s law, and the alignment of those rights with the European Convention on Human Rights, European citizens should be protected against arbitrariness on the part of the authorities. For it is precisely the protection of the minority against the tyranny of the majority that is the genius of the post-war structure of our European society. Our citizenship and our freedoms are also embedded at European level. And yes, we know how essential that is from the history of the collapse of the Weimar Republic. The European Union and European human rights are living monuments to Abel Herzberg’s generation. An institutional enshrinement of human dignity. How distressing and objectionable it is then to hear more and more voices saying, ‘Down with the multilateral order. Down with European law. We’re increasingly seeing that parts of society are susceptible to half-truths, manipulation, and fake news, which characterises the international order as a ‘cultural-Marxist project’. People are even seduced by a deceptive notion of 19th-century romantic nationalism. A so-called ‘return’ to the sovereign nation state. The international order has to be demolished. We have to be liberated from tyrannical elites. In Brussels, New York, Berlin or Paris. Who forsake their national pride. But not when it comes to universal values. Not when it comes to taking a stand against anti-Semitism. We can fight big ideas with facts and ideals. I believe in the power of international cooperation. The European Union is an expression of ideals, courage and vision. Europe is also a community of purpose. I believe in the international and European system that we built in the aftermath of the Second World War. I was born in Rijswijk in 1961. A privilege I did not earn. Talent, ambition, hard work: it has nothing to do with any of that. But that doesn’t detract from the immensity of the privilege. Not because the Netherlands is rich. But because the Netherlands is free. With a strong democratic legal order. In which fundamental values belong to everyone. In which people are equal before the law. In which all people are free to express themselves. A country with freedom of religion. In which courts make independent decisions. Where we respect the differences between people. Where we exercise due care with regard to minorities’ rights. These are the foundations of our democracy and the rule of law. As I just said, they cannot be taken for granted. So how come these rights and values are rooted so firmly in Dutch society. The answer might seem simple. Because they are enshrined in our Constitution. Because we are party to a wide range of international treaties that guarantee these rights and values. But these answers are not sufficient. Most of the countries where freedom of expression is curtailed, where academics cannot publish what they want and where women are second-class citizens are party to those same international treaties that are meant to prevent such injustice. Most of the countries that have a ‘President for Life’ hold elections, recognise fundamental rights which are laid down in law, and claim to protect minorities. An independent judiciary cannot be taken for granted in this world. The protection of fundamental rights does not follow automatically from a constitution or from international treaties. These rights and values are so strongly rooted in Dutch society because we are all convinced that these rights and values are inalienable and indisputable. Because we believe that they apply to us all. That the separation of powers works for us all. That our institutions are honest and reliable. That our journalists are truly free. That there are values and principle that are not negotiable. That we, as human beings, are equal in the most fundamental sense of the word. And that the state must therefore treat us equally when it comes to fundamental issues. Our Constitution is a splendid text. But it must not simply be something for lawyers to study. A constitution must be supported by society. It must live in people’s hearts. My work has taken me to places where the lives of ordinary people are filled with serious challenges. Iraq, Jordan and the Democratic Republic of the Congo. In Mosul, Iraq, I stood on grey piles of rubble that had once been houses. There I spoke to a man and woman who were holding their children tightly. In a daze, they described losing a child in the war against ISIS. Despairingly they wondered how to go about building a new life. In the DRC I saw toddlers staring with blank expressions. I spoke with displaced Congolese women, in a house made of tent cloth and cow dung. One told me that when she fled she had to leave three of her five children behind. Another described how she and her children had been shot at with flaming arrows. I won’t ever forget these stories and images. But there’s something else I won’t forget either. First, the pride and dignity of people who want to build ‘normal’ lives. That’s something I saw everywhere I went. But also the darkness that descends when the rule of law is absent or unravelling. The marginalisation of vulnerable groups. And the risk of conflict that accompanies these threats. When I joined the Ministry of Foreign Affairs, just after the fall of the Berlin Wall, the euphoria was palpable. We thought the dark pages of history were behind us for good. The 1990s promised ‘the End of History’! The great ideological clashes seemed a thing of the past. There would never be another economic crisis! Democracies based on the rule of law would quickly take root, even in places where such freedoms were still a dream. The Cold War had a clear winner. Once people experienced democracy, they would always safeguard, protect and preserve it. Globalisation would bring people even closer together. Technology would free us, by giving everyone in the world access, at the click of a mouse, to all the knowledge that humanity had ever acquired. From now on we would always be able to separate fact from fiction. The 1990s brought economic prosperity. But the ‘end of history’ did not come to pass. Notwithstanding their hubristic attempt to predict the course of history, we can’t really blame these triumphant visionaries. For it seems virtually impossible to truly step outside the present and consider the whole, meandering stream of history. Let alone that of the future. It’s a question I think about often: how will some future historian look back on our time of uneasiness and alienation, and on the political shifts we’ve seen in that time? Will she, when she writes in the 22nd century about today’s international politics, be able to truly bring the subject and the context to life, summoning a realistic echo of our present reality? Will she discover a narrative arc that reveals the crumbling ethics of leadership? Will she be able to evoke a sense of the disruption that social media has caused to our system of disseminating information? Will people be able to grasp the impact of the disillusionment sparked by the banking crisis and the subsequent lack of accountability? Will they recognise inequality as the driving force behind political polarisation, and as a factor in the breakdown of social cohesion and the decline in stability and security? Will the gruesome details of terrorist attacks be lost in the mists of time? Will people relate to the powerlessness we feel in the face of the atrocities in Syria? Since the fall of the Berlin Wall, democracy based on the rule of law has not continued its expected triumphal march. In its latest edition of Freedom in the World, the think-tank Freedom House noted that, in 2017, democratic freedoms declined for the 12th consecutive year. It called 2017 a year of ‘democracy in crisis’, worldwide. Free elections, minority rights, press freedom and the rule of law are under increasing pressure, all over the world. According to Freedom House, democracy is currently facing its most serious crisis in decades. These findings are endorsed by the ‘Democracy Index’ published by the The Economist. Fortunately, in all the rankings that measure quality of life, our country is still among the best in the world. And yet the Netherlands is under pressure too, as we frequently hear in the public debate. We hear about a largely unelected ‘elite’ selling the country out from under us. We hear about ‘Brussels’ calling the shots in the Netherlands. We hear that the Dutch courts are nothing more than the puppets of this or that political party. We hear of ‘lefty’ academics teaching their students a ‘politically correct’ version of reality. We are warned that we are under attack from an atypical enemy, who wears the same uniform as we do. We hear calls for a strong-man leader who will bring deliverance. Facts are no longer facts. The free press is the enemy. Tribal thinking is gaining ground. The type of thinking that doesn’t see people as the complex beings they are. I was raised a Catholic. I was a diplomat, and now I am a politician. I’m a wife, and the mother of four children. A mother who sometimes, in the Netherlands, has to explain that her daughter – who looks different – really is her daughter. Sometimes, because of my choice of husband and career, I am treated as a foreigner in my own country. And I ask myself: who gets to decide who are ‘Dutch foreigners’ and who are not? If you accept the stereotype, sometimes I belong in the ‘foreigner’ camp. And more painfully, so do my children. Identity is never monolithic. It is layered and complex. It is your right to determine your own identity. To grow and to learn. To define your sense of self on the basis of your lived experience. Your identity is formed by your upbringing, by the friends you make, by your beliefs and by the books you read. By your travels, your encounters with strangers, and by personal ambition and development. Our humanity and layers of personal identity are also forged by disappointment and adversity. Especially those moments when you learn a lot about yourself and others. So people can’t be reduced to a single aspect of their being. Identity politics can be extremely destructive. As a UN diplomat, I’ve seen it for myself. But more importantly, it’s the most important lesson of the 20th century. If we feel insecure, it can be comforting to seek out members of our ‘tribe’. But if seeking out your own means excluding others, it will eventually lead to segregation. That is also the lesson of the Holocaust. One thing I know for certain: we cannot respond to the noise of exclusion and xenophobia with silence. The voice of reason, respect and tolerance will always be needed to cut through the noise. And in the living room and the pub. We can’t let the noise go unchallenged. Or our silence will become deadly. But how do we break our silence? How do we neutralise the creeping poison of fear? We have to use words. Words connect us to the past, and help us move forward. We live in a time where we need the words of Abel Herzberg more than at any other time since he wrote them. We cannot let history be silenced. But we need more than words alone. We must respond with action, too. Action that gives hope. Society is not just about talking together. Above all, it’s about acting together. Not because you have to, or because you stand to benefit, but because it’s right. Because we are all humans together. Because we live together. Everyone has their own personal experiences with people. Their own sources of inspiration. I see the image of Sister Sophie, the Mother Superior of the children’s home in Bethlehem where I adopted my eldest son. I see the murdered priest, Father Frans van der Lugt, who worked in Syria, in the most difficult circumstances, to unite people. Here in Amsterdam, I think of Menno ten Brink and Marzouk Aulad Abdellah. The former leads the city’s largest synagogue. The latter leads the city’s largest mosque. And they have forged a friendship. I also think of Johnny de Mol, whom I met at the Night of the Refugee event and at Amsterdam’s former prison complex, the Bijlmer Bajes, where he has set up a kind of ‘pop-up hotel’ for refugees. Sister Sophie, Father Frans, Menno ten Brink, Marzouk Aulad Abdellah and Johnny de Mol. Their courage unites people, generations and continents. Let me return to Boris Pasternak. Challenged endlessly by the tyranny of illiberal autocracy. Wrestling daily with the question of how to live in such circumstances. Of what he should expect from himself. Of how he could express himself. George Steiner provides an extraordinary account that underlines the power of the individual. It’s a story that serves as a touchstone of civilisation. Artists, scholars, journalists and anyone else with the slightest inclination to resist Stalin are being brutally purged. The scene is a writer’s conference in Moscow. Pasternak is told by the secret police that he will be arrested, for obvious reasons, if he speaks out against Stalin. But they tell him he will also be arrested if he doesn’t speak out against Stalin, as this would constitute ‘ironic insubordination’. The conference lasts for three days. Some two thousand writers are in attendance. Every speech is an ode to Comrade Stalin, ‘Father Stalin’ and the Leninist-Stalinist model of truth. On the first day, Pasternak says nothing. On the second day, he says nothing. And he says… a number. Everyone in the room understands at once what he’s referring to. A sonnet by Shakespeare, of which Pasternak has produced a famous translation. By speaking those words, the two thousand voices in that hall said everything there was to say. We have something that cannot be taken away. Pasternak has given us something that can never vanish. And he wasn’t arrested by the secret police. This is not Moscow in 1937. No such stirring gesture is required of us today. And yet, something big is being asked of us all, without mental reservation, here and now, at this very moment. We must not sit still in the glare of the urgency of this moment in history. What will be the judgment of that future historian, looking back from the 22nd century on our age of uneasiness and alienation? I hope that ultimately she will see and recognise that we were able to turn the tide. That unity became the norm, instead of polarisation and fabricated divisions. That’s why I went into politics. Yes, we must always acknowledge the concerns and fears of our fellow human beings. Listen to them and work with them to find solutions. Fruitful dialogue is the answer to those concerns. We mustn’t feed fear, but assuage it. Try to bridge differences, learn from each other and truly live and experience life together. To place value on the opportunities of others – especially those with no voice or political outlet. In the conviction that the power of taking responsibility lies in what you do for ‘others’, not what you do for your own supporters or ‘tribe’. And in not reducing each other to one aspect of our being. That too is why I wanted to return to the Netherlands.